This 3rd Printing will be a straight reprint of the 2nd Printing maps and counters, and will include the most current version of the rulebook and other components. · Germany had tried to execute Sea Lion, the invasion of Britain. · Admiral Raeder’s Mediterranean strategy had been adopted and the British position in the Middle East had crumbled. · Russia had been prepared for the German attack. · “General Winter” had not come to the aid of the hard-pressed Russian armies in late 1941. · The European Axis and Japan had cooperated in implementing a strategy aimed at destroying the Western Allied lines of communication in the Indian Ocean. · The Battle of the Atlantic had been won by Germany. · War had broken out between Russia and Japan in 1941 or 1942. · Japan had avoided disaster at Midway in 1942 and instead invaded Australia or India. 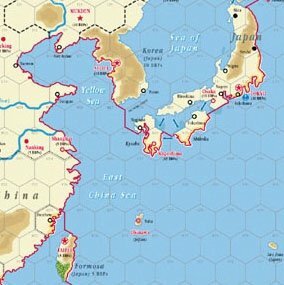 · Japan had knocked China out of the war. · the Western Allies had tried to invade France in 1943 or earlier, leaving Italy for later. · The Western Allies had failed to develop the atomic bomb - but Germany had. · the Western Allies had developed jets or rockets. · YOU had been in command. · named ships, allowing players to sink (or lose!) the Bismarck, Yamato, New Jersey and other famous ships. · naval construction rules which allow major powers to build the navy they think will suit their strategic requirements. · mobilization rules which allow major powers to tailor their army and air force pools to meet their needs – provided they anticipate them accurately. · oil rules which force the Axis to worry about their inadequate oil reserves even when victory is within their grasp – although Britain and Russia can have cause for concern as well! 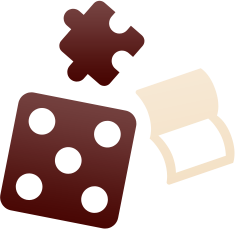 · simplified diplomatic rules which allow minor countries to align themselves with various major powers. · more intuitive Combat Results and Attrition Tables. 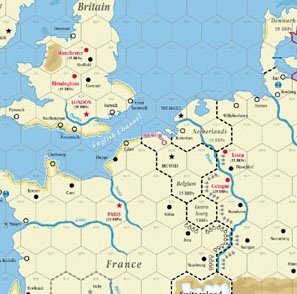 · additional terrain on both the European and Pacific mapboards. · new counters for beach defenses, partial supply and island group control. 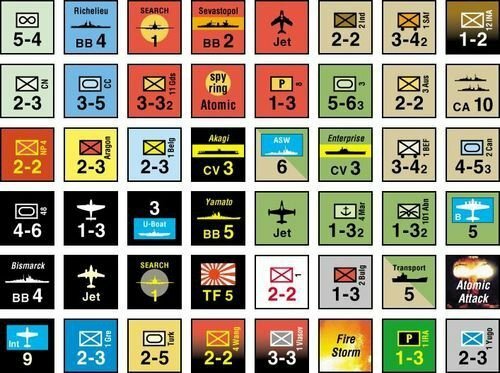 · revised counters based on feedback from A World at War players. · rules changes to mitigate the effects of bad luck, especially early in the game, leaving it to the players themselves to ruin their positions. · improved submarine warfare and strategic bombing rules. · more realistic raider and naval combat rules. · more realistic implementation of the “big three” high technology research projects: jets, advanced submarines and rockets. · increased balance between the western, Mediterranean and eastern fronts. · graduated economic growth rates and a link between Germany’s conquests and its construction rate, so that an Axis “Fortress Europe” strategy is as risky as any other. · modified atomic research rules which preclude ahistorically early atomic bombs, while still leaving open the possibility of a German bomb. · an enhanced Japanese Resistance Table, with Japan getting credit for expansion beyond its historical achievements. 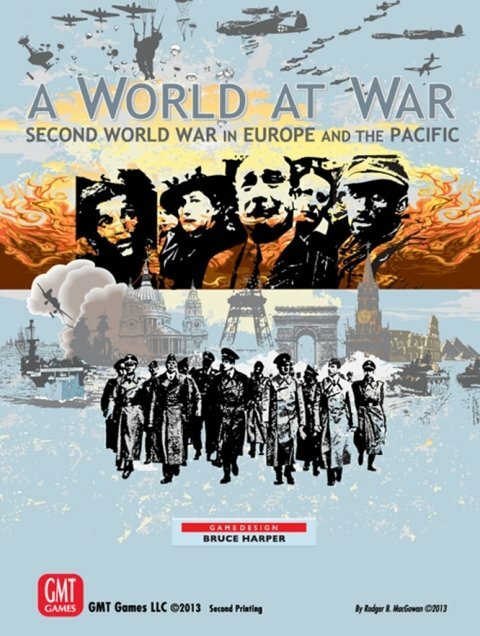 A World at War contains a dozen scenarios, ranging from the introductory Battle of the Atlantic and Barbarossa scenarios up to European and Pacific Campaign Games. But dedicated gamers will be hard-pressed to resist testing their luck, skill and especially their nerves by taking on the entire war in the full-fledged Campaign Game.